Copyright Melway Publishing 2001. Reproduced from Melway Edition 28 with permission. 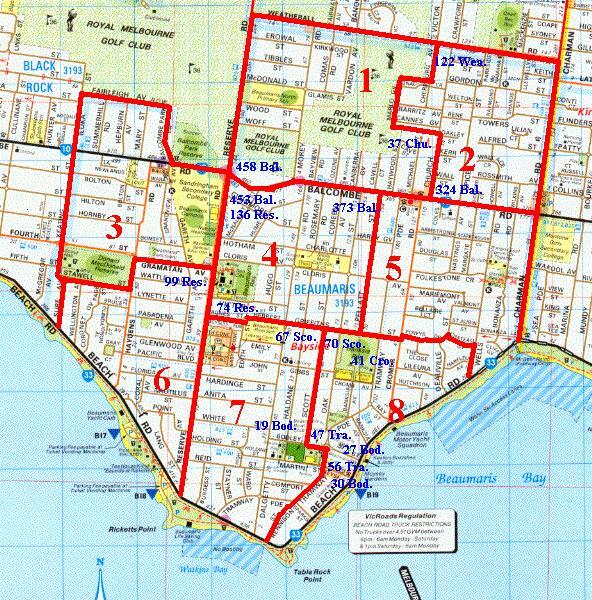 Addresses outside Beaumaris are in Zone 9.